The R3182 achieve "best-in-class" performance for average display noise levels of -106 dBm (at 40 GHz, RBW 1kHz) and SSB phase noise levels of -85 dBc/Hz (at 40 GHz, 20 kHz offset. 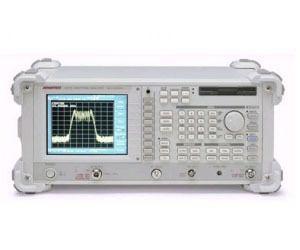 The R3182 is a high performance analyzer with an average display noise level of -106 dBm/RBW 1 kHz at 40 GHz. The R3182 is equipped with a 6 dB bandwidth filter of 9 kHz/120 kHz/1 MHz and a QP detector. In addition, an optional 200 Hz narrow band-pass filter is available. The R3182 supports the computing functions AVG POWER and TOTAL POWER for power measurement, and are also equipped with a frequency counter and a preamplifier up to 3 GHz as standard.